Cheryl and Tommy will make their first trip to NY Comic Con this year from October 5-8. They’ll have a stand there and are anticipating meeting all of the amazing cosplayers enthusiastically. 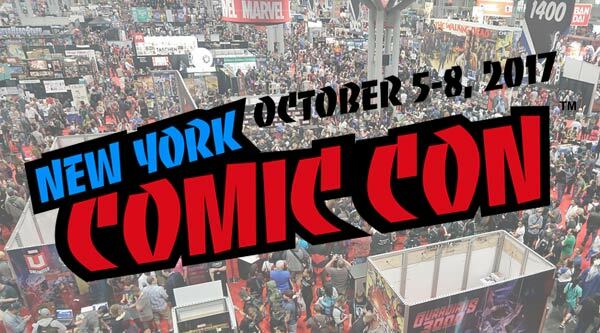 Last year NY Comic Con attracted over 185,000 fans. That’s a whole lot of imagination and creativity in one place! Cheryl and Tommy were introduced to the incredible world of cosplay earlier this year at CONstruct, and they were instantly intrigued and impressed by the unfurled imagination and incredible level of craftsmanship on display. They were struck by the ways in which the Cosplay world and the Film & TV industry overlap. Cosplayers start with a vision and find creative ways to fulfill what they’ve imagined. They’re resourceful. These are the same qualities that Costume Designers and Wardrobe Supervisors possess; they’re the qualities that allow them to thrive in the chaotic world of set life. MWS was born out of the need for one place that would supply designers and costumers with everything that they needed. It turns out that Cosplayers need those things as well! Cheryl and Tommy were so excited by this overlap that they welcomed Becka Noel to the MWS team. Becka is the resident Cosplay specialist and is helping to build a section of the store just for Cosplayers. It’s in the works and quickly becoming a place where all of your Cosplay dreams can be brought to life. Becka Noel and the new Cosplay Department at MWS! Tommy, Cheryl and the MWS gang will have all sorts of goods on hand. You can stock up on all varieties of Worbla, Jacquard, Face Lace, Espionage Nail Wraps and Flexi-Paint. Get a head start on your next costume or just get some supplies and see how they spark your imagination. Come by and say hello to us at Comic Con! We’re excited to see the costumes, meet some amazing Cosplayers and become a part of this great community! Tagged Becka Noel, Comic Con, Cosplay, Costumes, NYC Comic Con, wardrobe. Bookmark the permalink.